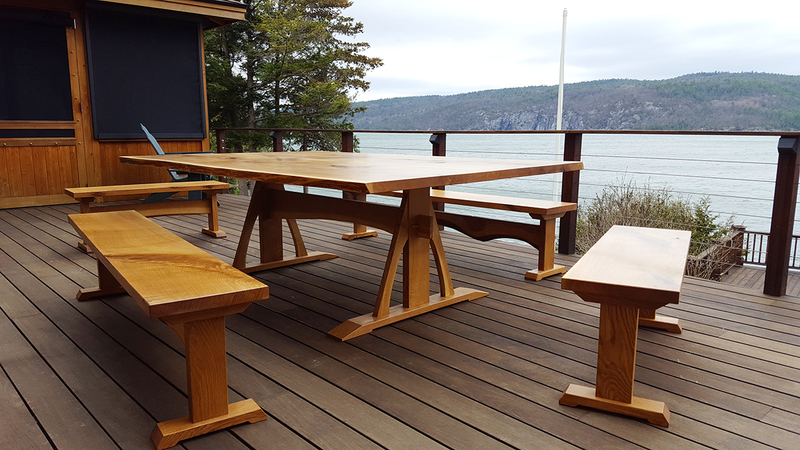 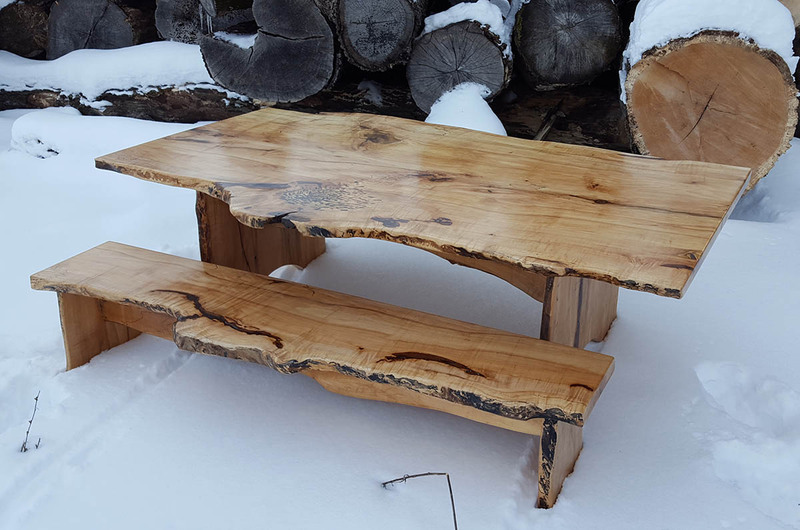 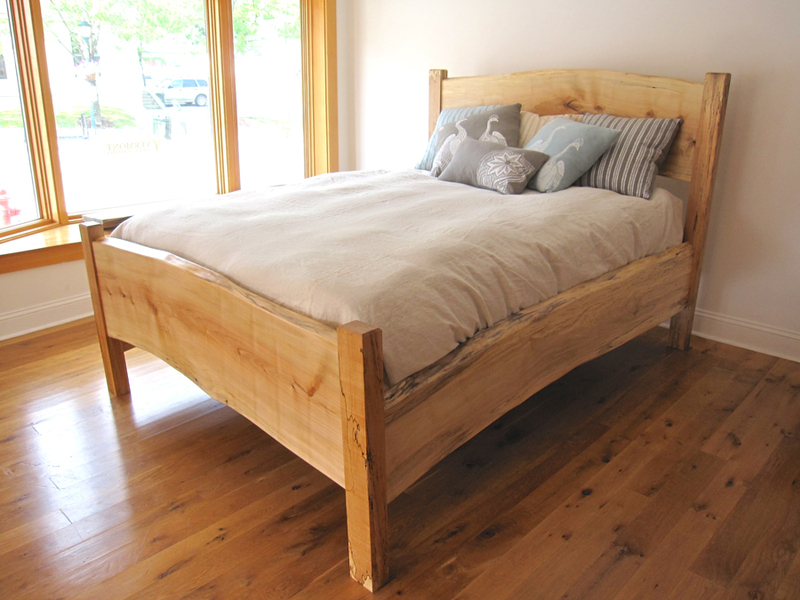 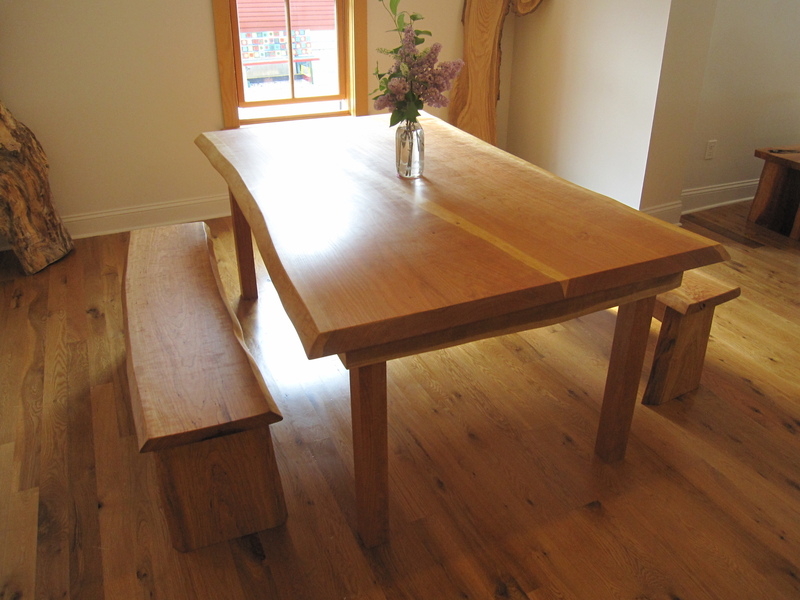 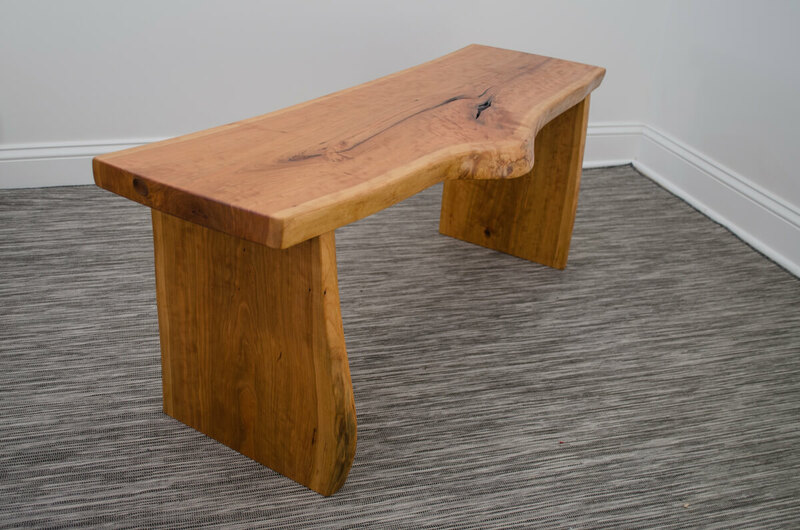 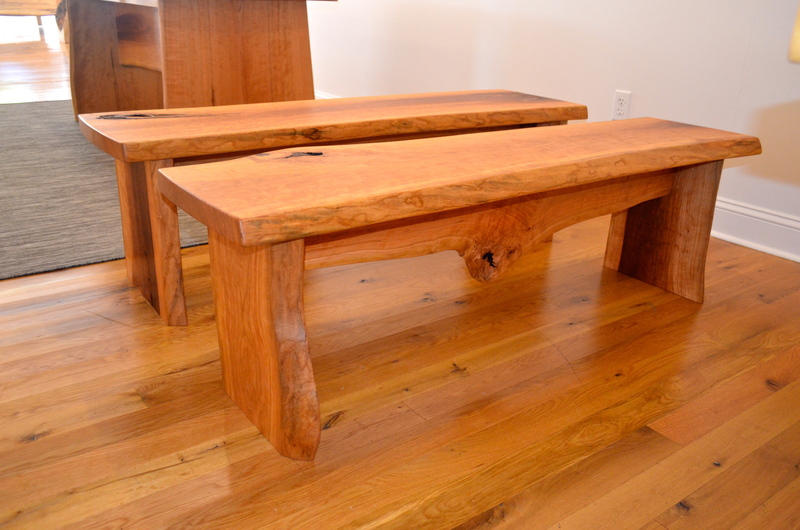 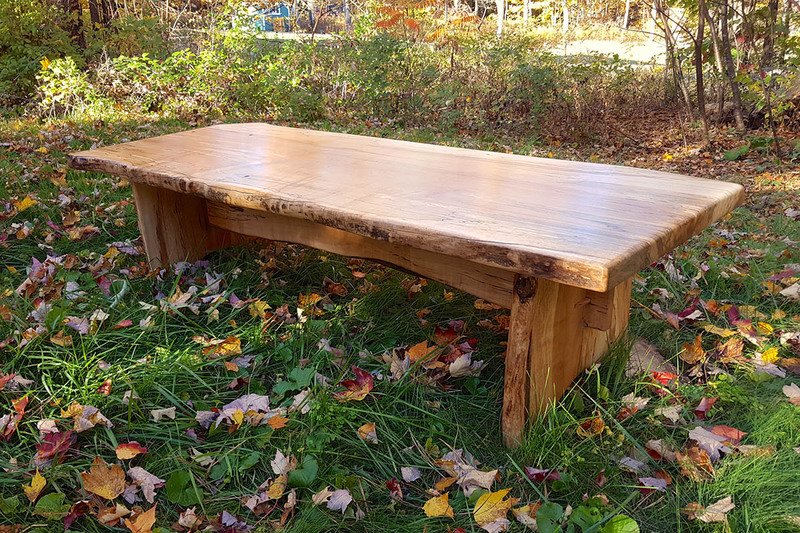 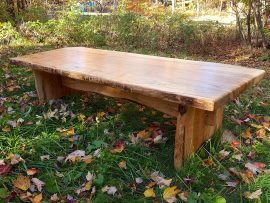 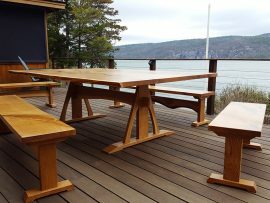 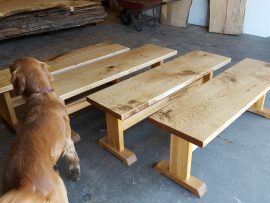 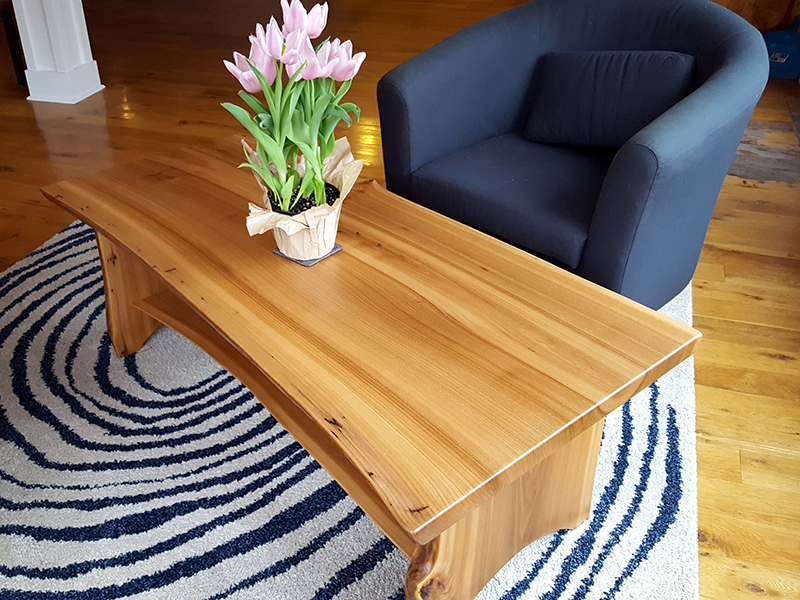 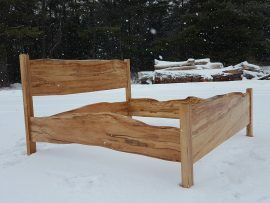 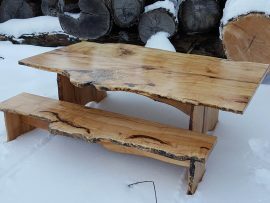 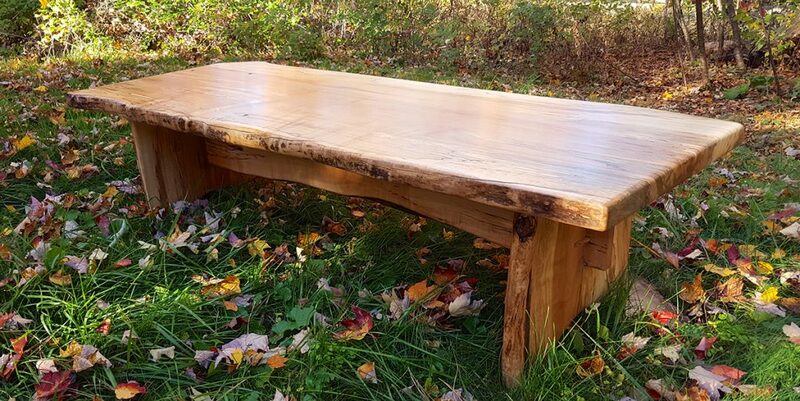 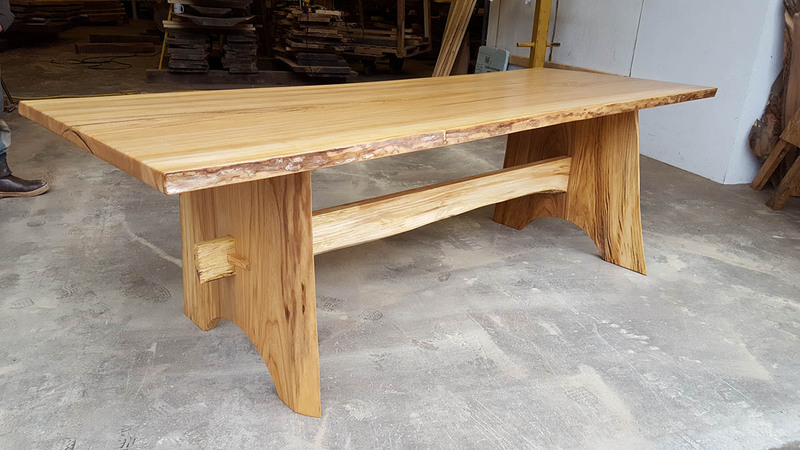 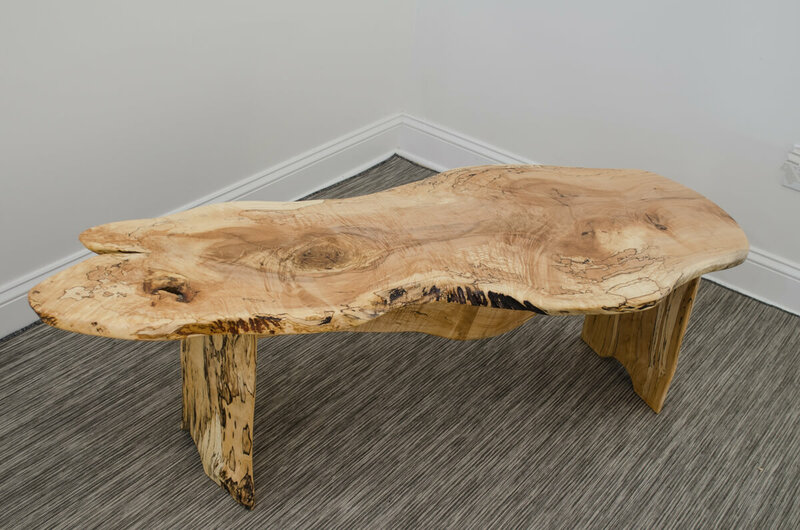 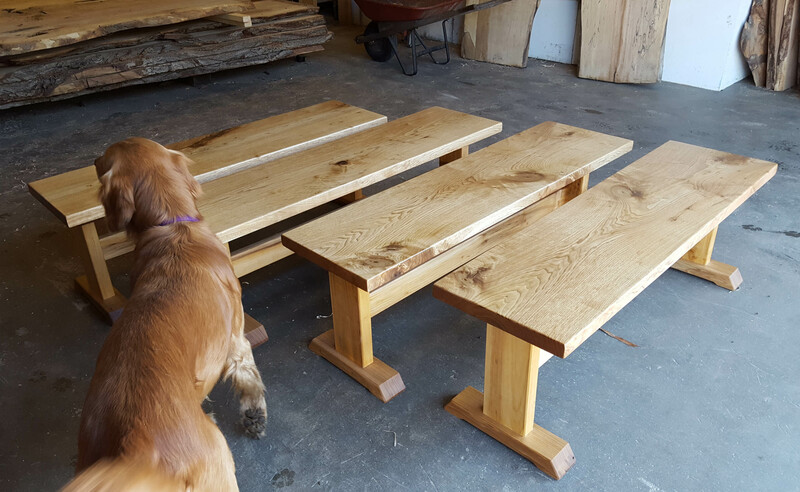 Vermont Tree Goods furniture makes a statement with its superior quality and is built for you from single, large planks of Vermont grown heirloom trees. 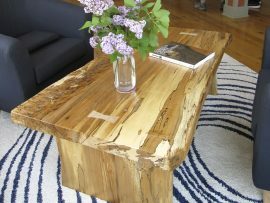 The natural edges are preserved, and no two pieces are alike. 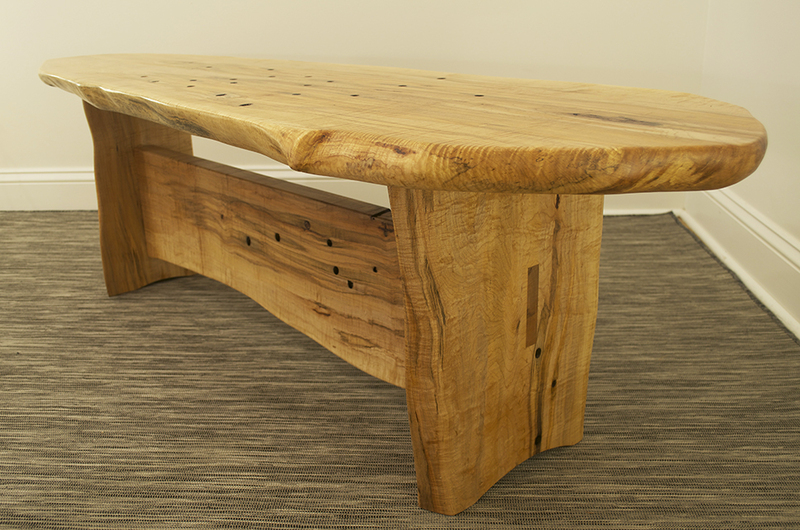 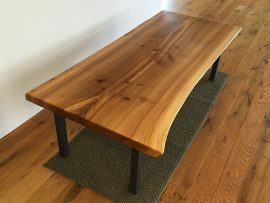 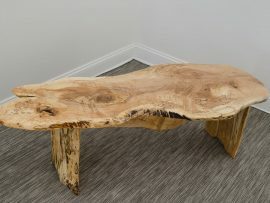 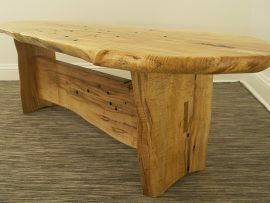 The use of reclaimed Vermont trees and the efficiency of our advanced milling techniques let our master craftspeople produce exceptional, real wood furniture that is a great value. 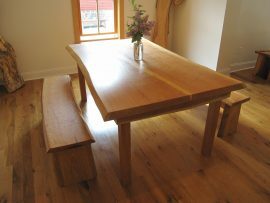 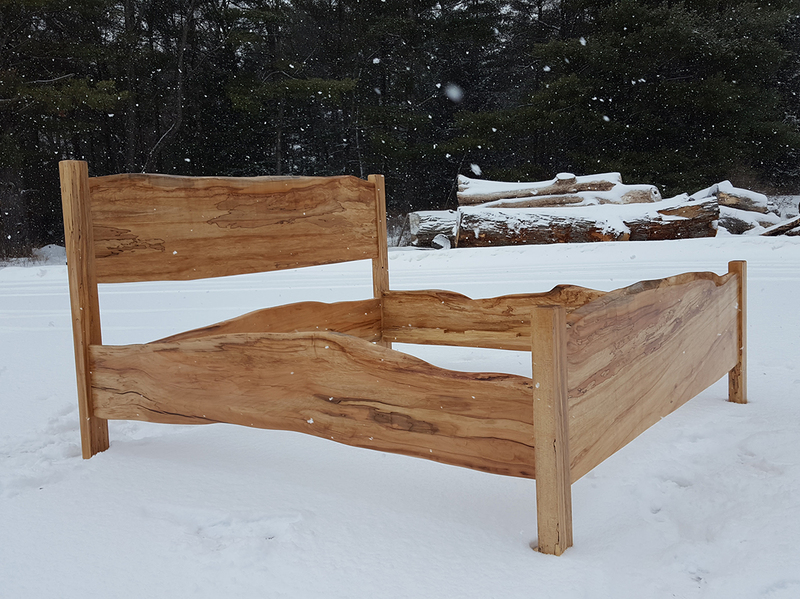 Our tables, beds, seating, and custom installations explore the possibilities and Vermont traditions of solid, natural beauty for your home. 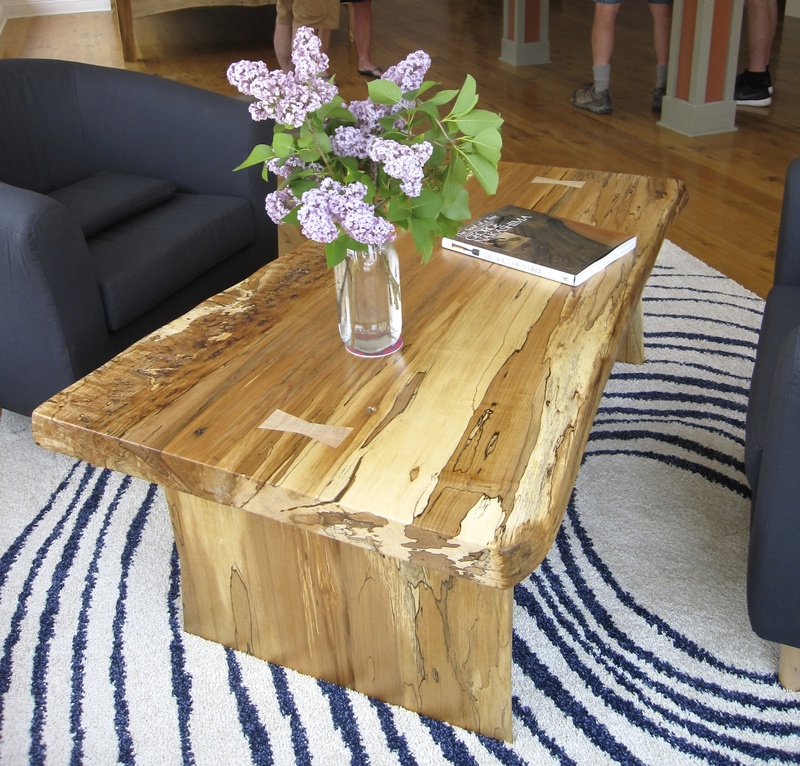 Choose from a selection of pieces in our Bristol, VT Showroom, visit our online store, or work with Vermont Tree Goods to design your own. 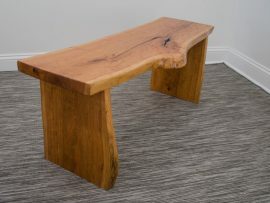 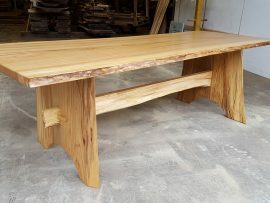 Select your preferred hardwood, as well as base or legs, and with our assistance create your custom-designed furniture. 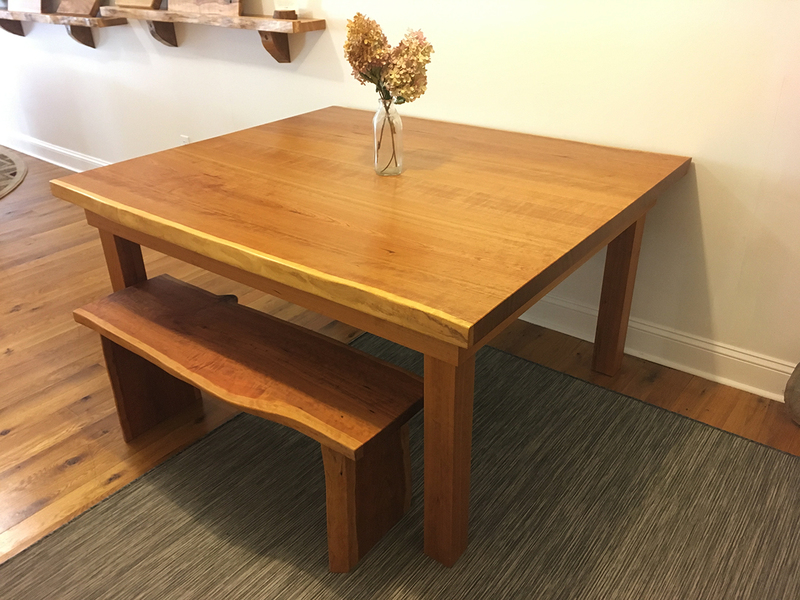 Contact info@vermonttreegoods.com or call (802) 453 – 4544 to start the conversation or for additional purchasing and shipping information. 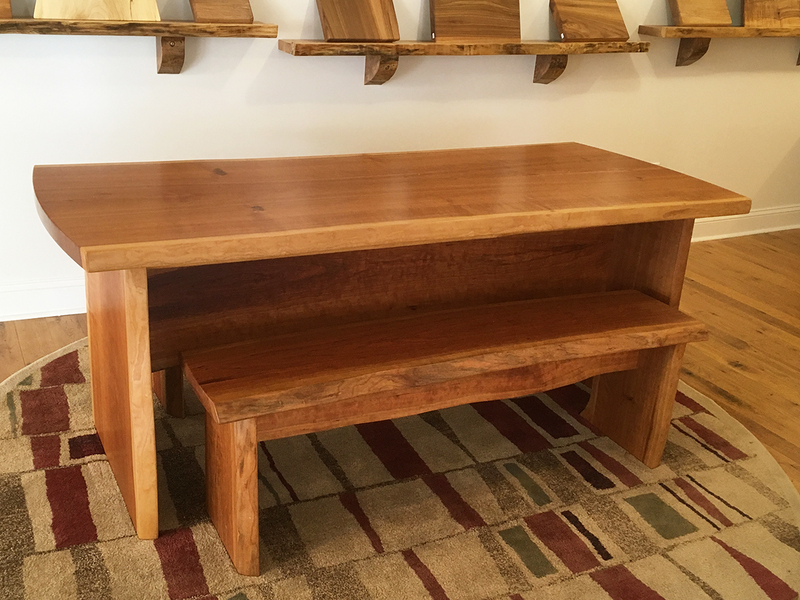 The gallery below is a portfolio of furniture we have made and sold through our showroom, online, as well as a variety of custom orders. 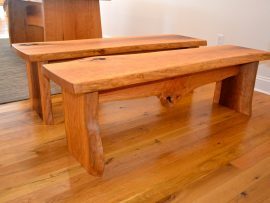 These examples may be useful as you consider a look or style for your furniture.